One of the first things you might want to do after getting the iPhone X is put a case and a screen protector on Apple's most expensive phone. We've looked through some of the most popular iPhone X screen protectors to recommend you a protector that will look good, have a reasonable price and protect your screen from shattering. After all, repairing a broken iPhone X screen costs a whopping $280! For that much money you could as well buy an affordable new phone. To help you protect that OLED display from damage, here are the best tempered glass screen protectors for iPhone X. Updated: As of 2018, we now recommend the IQShield protector as the best screen protector for the iPhone X. The IQShield tempered glass screen protector for the iPhone X is our top choice for a screen protector because of the combination of great quality, affordable price and easy installation of the protector. The IQShield ships in a 3-pack for $8, and has clear and easy to follow instructions for installation. It also fits the iPhone X very well, it is really thin but despite that it feels durable and does not obstruct 3D touch gestures. Quite importantly, it fits the X very well while we have seen others not feel quite exactly right. The important edges of the protector have a very reassuring tight seal so no air bubbles can get in. amFilm is one of the most popular manufacturers of screen protectors, and its 3-pack of glass iPhone X protectors is already available on Amazon. The protector is just 0.3mm thin, retains 99.9% transparency to better preserve the lush colors of the iPhone X, and features oleophobic coating to protect it from greasy fingers. Installation is also not too hard as it all ships with wet wipes, an installation guide and dust removal stickers. Maxboost's 3-pack of iPhone X glass protectors is currently the one protector recommended by Amazon itself. Maxboost's glass is a little bit thinner than amFilm's - it features 0.25mm thickness, and it's similarly transparent and compatible with 3D Touch. It comes with hydro- and oleophobic coating to remain pristine clean, and it comes with a worry-free installation package with instructions and tools. Finally, Spigen's $9 2-pack iPhone X glass screen protector is another great option from a company that is better known for its cases. The Spigen iPhone X glass protector is fully compatible with all Spigen cases, so you can combine the purchase of a protector with a case. Note that the protector is slightly smaller on purpose to fit different cases. Be wild, enjoy your phone, do not put a condom on it!!! 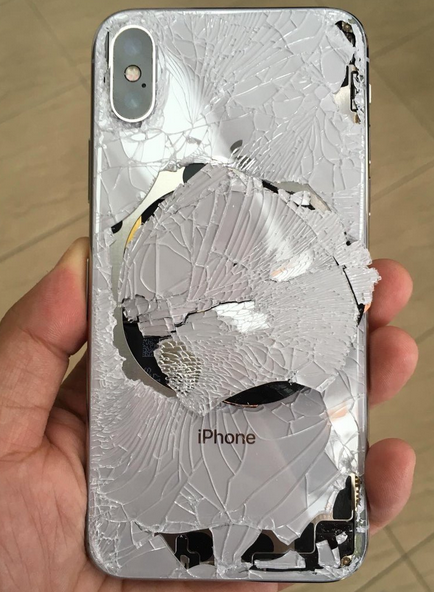 Thought Iphone x had the strongest glass ever on a phone? why do you need these? Hi samsung idiot fans, enjoy profits from X screens. O, i heard that Samsung will have more profit than selling their cheap phones and flagships combine. Sad! They better closed mobile division and expand fabs for display, chils and other mobile parts. Apple.says the iPhone latest models have the strongest glass in the world. So we dont need this right? Glass breaks period. Do you live on Earth? He lives on Bizarro-Earth where Samsung has invented glass that is impervious to anything short of a Kryptonian body slam and cheap weed is still good weed.